Would the lovely lady who replied on Facebook to our recent appeal for helpers please contact Jenny on 0428 343 028. We tried to send you a Facebook message but it apparntly did not reach you. We still need more helpers – if you could deliver 40-50 newsletters in your area six times per year it would be greatly appreciated. Please call Jenny on the above number. Cotton bush is still a problem. 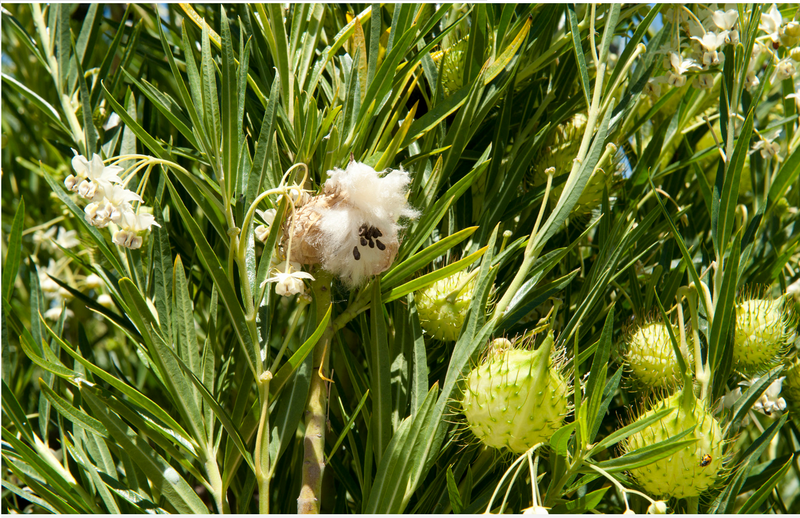 Cotton bush is classed as a C3 pest by the Dept of Agriculture and Food (DAFWA). If you have any plants on your property please destroy/poison and burn them (a brochure is included with this newsletter). DAFWA is conducting a programme to eradicate the sulphur crested white cockatoo which is a feral pest. If you see any of these birds in the Herron/Lake Clifton area please notify Lindsay Strange at DAFWA at Waroona on 9733 7777. Conducted wildflower walks are proposed in spring at Island Point, Lake Clifton bush and Yalgorup National Park if there is sufficient interest. These will probably be conducted on Sundays but this will depend on interest shown. Please register your interest on the website or facebook with name and contact phone number. Our revegetion projects along the fringes of Lake Clifton are going exceptionally well. We have killed the paspalum that was choking out all of the natives and our plantings have been very successful. There will be another planting day on Monday 22nd June. We have lots of planting to do and we also need to remove a very large number of guards from the plants we planted last year so we need all the help we can get. Please consider coming along for the morning. You will be made very welcome and not overworked! Meet at 8.15am on Monday 22nd June at Jenny Rose’s place – 2646 Capel Way Herron. We will work from 8.30am to 1.00pm Morning tea and lunch provided. Bring water, gloves, sturdy shoes. RSVP by Wed 17th June for catering purposes to Nancy Fardin 9739 1154 or 0439 928 470 or Jenny Rose 0428 343 028. LCHPSA is working on a project in conjunction with the Department of Parks and Wildlife (DPaW) and the Department of Sport and Recreation to develop the Historic Lake Clifton Lime Kiln site for day use. The project will include walk trails to Lake Clifton to see the remnants of the works in the Lake. Other trails at the Lime Kiln site will go to the settling ponds to see remnants of the pipes etc. This development will be connected to a bush walk in the local bush. Part of this walk will go along two sections of the old railway line embankment. This railway line connected the Lime Kiln works to Waroona from 1921 to 1923 when the mining of shell was abandoned and the line was taken up in 1924. More details of the lime kiln’s brief history can be found at https://lakeclifton.com.au/?page_id=2595S. As all of this proposed development is on land controlled by DWaP, we need to go through a rigorous process of planning before we can seek funding for the actual work on the ground. A request for funding of the planning stage has been submitted to Lotterywest through the Department of Sport and Recreation. The success or otherwise of our application will not be known until about July. We believe that this very interesting bit of WA’s past should be preserved and made available to everyone. The development should also boost tourism in the area and hopefully the extra people coming to the area will support our local businesses. There is also a new e-Watch report from Waroona Police. The link did not work last month – hope it is OK now. The following message has been received from a resident in Herron. It would be great if any other people with the same issue could leave a comment so that perhaps we can apply some pressure to get this ridiculous situation fixed. My personal experience with satellite was not good – very weather dependent and long lag times. The equipment was also very prone to problems which required me and others to totally disconnect and wait a while before reconnecting. Maybe this is better with NBN satellite but I personally would be very hesitant. Hello, I would like to share my experiences in the NBN rollout saga. In Herron, we were recently contacted by numerous NBN providers stating the NBN is now available at our address. Needless to say, we were overjoyed, finally decent internet. We researched providers, and subsequently the NBN Co. was contacted to install our services. When the NBN co arrived, he was unable to get a decent enough signal. This is despite us being at the top of a hill with the tower less than 1km away. My neighbour was also advised of the same issue. Apparently to access the fixed wireless signal for NBN from the tower located in Herron, your house must have line of sight to the tower. This does not consider the trees of the area, which block the signal. So after all the waiting for the NBN, we and many others in the area are still unable to access the service because the government failed to consider that there may be trees, and hills and valleys in this area. The NBN Co technician advised we would only be able to have satellite NBN. This is still very very expensive, and in fact no different to what is already available. The only difference is that for the next 18 months, if the NBN Co. declares your residence to be unable to access the local tower, the government will cover the installation of the satellite equipment, which is apparently very expensive. I can’t believe that so little thought has been put into the installation of NBN in our area. I would like to hear if anyone has the same issue.